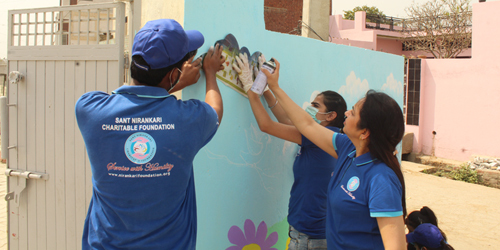 With the benign blessings of Her Holiness Nirankari Mata Savinder Hardev Ji Maharaj, the Sant Nirankari Charitable Foundation participated in a big way in the ‘Banega Swachh India’ campaign sponsored by NDTV Channel on October 2, 2016, the 2nd anniversary of the ‘Swachh Bharat Abhiyan’ launched by the Hon’ble Prime Minister of India, Shri Narendra Modi on this day in 2014. 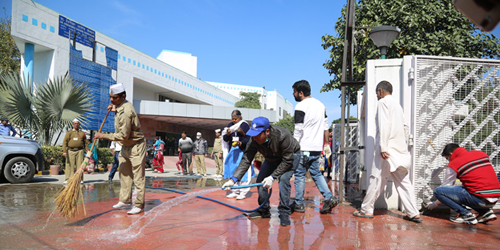 More than 60,000 volunteers of the Sant Nirankari Charitable Foundation and Sewadal members of the Sant Nirankari Mission cleaned 50 major Railway Stations across India in the ongoing yearlong initiative blessed by Baba Hardev Singh Ji Maharaj last year. In addition to this SNCF partnered with NDTV to clean The Chatrapati Shivaji Terminus (Mumbai), Taj Mahal (Agra), 84 Ghats (Varanasi) and 53 other locations such as Parks and Buildings, etc. in Chandigarh. 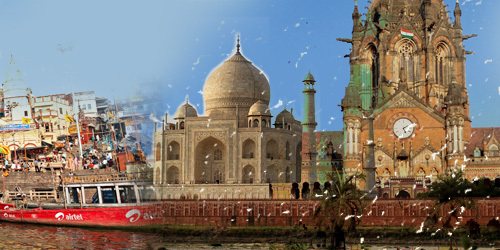 One of Seven Wonders of the World Taj Mahal (Agra) and The CST (Mumbai) are both UNESCO heritage sites of India and have also been selected by our Prime Minister Shri Narendra Modi among the 10 landmarks of India to be maintained and cleaned. The event was covered live for 12 hours on all NDTV channels. A panel discussion was held by the channel which saw participation by Shri Amitabh Bachchan (Bollywood Celebrity), Shri Vikram Chandra (CEO, NDTV) and Sister Bindiya Chhabra Ji, Founder Member of Sant Nirankari Charitable Foundation. During the course of the programme, the Hon’ble Railway Minister of India, Shri Suresh Prabhakar Prabhu thanked the Sant Nirankari Charitable Foundation for its dedicated participation in “Swach Rail Swach Bharat Abhiyaan”. 02nd October, 2016 was the 12th and final phase of the Sant Nirankari Charitable Foundation’s commitment to clean 47 main Railway Stations Pan India once a month starting from October 2, 2015 in “Swach Rail Swach Bharat Abhiyaan”. The Foundation took up four additional Railway Stations during the final phase. In Mumbai, the Cleanathon Campaign site was the Chhatrapati Shivaji Terminus Railway Station. 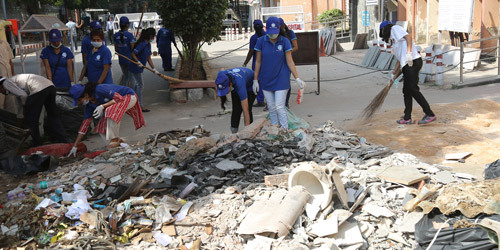 More than 4,000 volunteers cleaned all the platforms, foot over-bridges, circulating area, booking counters, waiting hall, pillars, walls, drinking water areas, toilets, parkings etc. Sister Bindiya Chhabra Ji and Sister Mohini Ahuja Ji (Zonal In Charge-Andhra Pradesh and Telangana) led the campaign in Mumbai. Speaking on the occasion, Rev Bindiya Chhabra Ji mentioned about the various activities of the Foundation dedicated towards the service of humanity. In the ‘Swachh Rail – Swachh Bharat Abhiyaan’ alone, more than 20,000 volunteers participated every month and they are expected to have put in about 25 lakh man-hours in the year-long campaign. Sh. Sanjeev Deshpande (ADRM), Sh. R K Modi (Sr. DOM), Sh. S. S. Chaturvedi (Sr. Station Manager), appreciated and thanked the selfless service done by Sant Nirankari Charitable Foundation’s volunteers all through the year. The notable features of the event were the Street Plays (Nukkar-Natak) and individual interaction with the passengers to create awareness and motivation towards cleanliness, developing the same as a regular habit. The campaign in Chandigarh was inaugurated by the city Mayor, Shri Arun Sood. The Municipal Commissioner Shri B. Purushartha IAS, Sh.C.L.Gulati (Secretary, SNCF) and the regional representatives of the Mission, Smt. Joginder Kaur Ji, Dr. B.S. Cheema and Sh.Jai Gopal Ji were also present on the occasion. 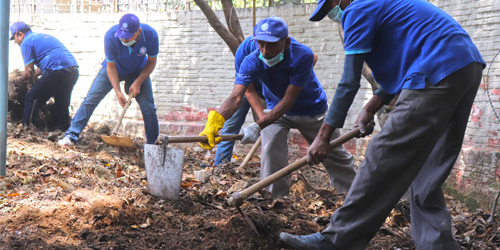 Over 6000 volunteers of the Mission cleaned various public places in 53 Sectors across Chandigarh, including Mohali, Manimajra and Panchkula. Speaking on the occasion, Shri C.L. Gulati Ji recalled the words of Nirankari Baba Hardev Singh Ji Maharaj that ‘pollution both inside and outside is dangerous’ and said Country-wide tree plantation and cleanliness drives are undertaken from time to time with special emphasis on cleaning the historical monuments, beaches, parks, river banks, hospitals and various other public places. 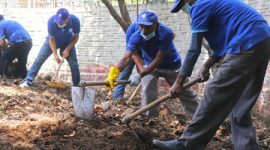 In Agra, about 5,000 volunteers of the Sant Nirankari Charitable Foundation and Sant Nirankari Mission’s Sewadal, men and women in uniform concentrated on cleaning the surroundings of the Taj Mahal as earmarked by NDTV with due cooperation from Municipal Corporation. They assembled as the Eastern, Western and Southern Gates, Dussehra Ghat and also covered two adjoining residential areas – Asad Ali Mohalla and Mahtab Bagh. The regional representatives of the Mission, Smt. Kanta Mahindru Ji, Shri Kirpa Sagar, (Member Incharge) and Shri Subhash Talus from the Foundation Headquarters Delhi were present to encourage the participants. Motivating the volunteers after the Prarthna Geet at the Western Gate, Shri Kirpa Sagar said that we are fortunate today that with the blessings of Her Holiness Nirankari Mata Savinder Hardev Ji Maharaj, the Sant Nirankari Charitable Foundation in partnership with the well-known TV Channel, NDTV have provided this opportunity today to clean the surroundings of Taj Mahal in Agra. Speaking to Media, Shri Subhash Talus also highlighted the various activities of the Foundation and thanked NDTV for providing this opportunity in Agra. The young volunteers from the Foundation presented Street Plays (Nukkar-Natak) at various locations and created awareness amongst people about cleanliness of their surroundings. They attracted many tourists who appreciated the effort. Leading dignitaries who visited and encouraged the participants included: Shri Indrajit Arya, Mayor; Shri Indra Vikram Singh, Municipal Commissioner; Dr. Ram Babu Harit, former Health Minister of Uttar Pradesh; and several other prominent citizens of the town. In the holy city of Varanasi, this drive was undertaken at the Ghats of River Ganga. Around 5,000 volunteers of the Sant Nirankari Sewa Dal and Sant Nirankari Charitable Foundation partook in the massive drive to clean all the 84 Ghats from 8:00 am till late afternoon. The event was also attended by Shri Ramesh Nitin Gokarn, Municipal Commissioner and Shri Ram Gopal Mehley, Mayor of the city. They personally inspected the Ghats in water steamers and appreciated the efforts of the Mission, congratulating the volunteers for their selfless contribution to the Nation and the society. They addressed the audience at a formal gathering also. Along with the regional representatives of the Mission, Shri Rama Shankar Shukla Ji, Shri Ashok Kumar Manchanda Ji and Shri J.S. Chawla from New Delhi represented the Headquarters. The event was successful in reaching out to the common man not only through the very action of cleaning the Ghats, but also through banners and street plays. Stress was laid not only on cleaning, but maintaining the Ghats and also on developing a habit of cleanliness in daily life. Messages like “Be the change you want to see” and “Pollution both inside and outside is dangerous” reverberated in the pious environs of the river side, leaving an indelible mark on the conscience of all those present. The drive ended with a pledge to keep the hearts pure and surroundings clean. 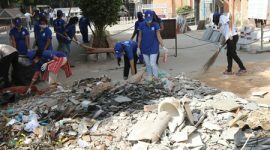 The volunteers of the Foundation along with members of the mission carried out the cleanliness drive in some more cities including Durg, Bhatapura and Tilda in Madhya Pradesh, Rishikesh Raiwala, Harrawala, Veerbhadra and Doiwala in Uttrakhand, Etawa and Banda in Uttar Pradesh, Anand Nagar in Gujarat, Shillong in Meghalaya and Rohini in Delhi among many other cities in India.